MENLO PARK, Calif. (January 9, 2018) – The William and Flora Hewlett Foundation announced today that applications are now open for the 2018 round of its Hewlett 50 Arts Commissions, an $8 million commissioning initiative that is the largest of its kind in the United States. Reflecting the foundation’s longstanding commitment to the performing arts in the San Francisco Bay Area, 10 local nonprofit organizations will receive grants of $150,000 each to commission significant new works of theater, spoken word, and musical theater and premiere them in the Bay Area. Applications for this year’s awards are due by April 20. Each year of the five-year initiative focuses on a different performing arts discipline, supporting the creation of new works by accomplished artists from around the world. Last year’s commissioned projects in music composition included: “At War with Ourselves,” an evening-length performance exploring race relations in America by Grammy Award winners Kronos Quartet and Terence Blanchard; “Indra’s Net,” an immersive, multidisciplinary piece by MacArthur “genius” award winner Meredith Monk, commissioned by Mills College; “Angel Island Oratorio,” a new work for strings and chorus inspired by immigrant poetry from composer Huang Ruo and commissioned by Del Sol String Quartet; and a new chamber piece commissioned by Music at Kohl Mansion and composed by Guggenheim Fellow Jake Heggie for the Violins of Hope, a set of instruments played by musicians in concentration camps and ghettos during World War II and restored over the last 20 years by Israeli craftsmen. Applicants for the 2018 awards must be nonprofit organizations with 501(c)(3) public charity status based in one of the 11 Bay Area counties (Alameda, Contra Costa, Marin, Monterey, Napa, San Francisco, San Mateo, Santa Clara, Santa Cruz, Solano, or Sonoma), but they do not need to be focused on the arts as part of their primary mission. The Hewlett Foundation encourages nonprofits working on diverse issues and those that serve disadvantaged or historically marginalized communities to apply. Awardees will be decided based on four selection criteria: artistic excellence, community engagement, collaboration and leadership, and financial capacity. Finalists for the awards will be nominated by a panel of outside experts. The Hewlett Foundation’s Performing Arts Program staff will select this year’s 10 recipients from among the finalists. Since 1967, the Hewlett Foundation has made more than $335 million in grants to arts organizations. Launched in January 2017 to celebrate the foundation’s 50th anniversary, the Hewlett 50 Arts Commissions awards 10 grants to local nonprofits annually to commission world-class artists and partner with them to achieve their shared artistic vision. The remaining three years of the initiative will focus on dance, traditional arts, and film, ending in 2021. The new works created with this year’s awards will premiere in Bay Area communities over the next three years. For more information about the Hewlett 50 Arts Commissions, please visit www.hewlett.org/50commissions. For information about the 2018 grant application process, please visit www.hewlett.org/about50commissions. Media contacts: Laura Gigounas, Kati Stadum, Gabrielle Farrell at Glodow Nead Communications, 415.394.6500 or HewlettPR@glodownead.com. For more than 50 years, the foundation has supported efforts to advance education for all, preserve the environment, improve lives and livelihoods in developing countries, promote the health and economic well-being of women, support vibrant performing arts, strengthen Bay Area communities, and make the philanthropy sector more effective. 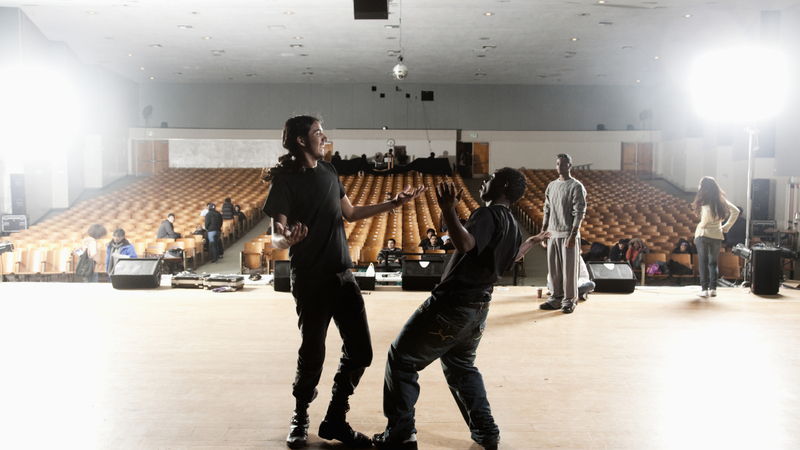 The foundation’s Performing Arts Program makes grants to sustain artistic expression and encourage public engagement in the arts in the San Francisco Bay Area, to give California students equal access to an education rich in the arts, and to provide necessary resources to help organizations and artists be effective in their work.